This Memorandum represents a significant departure (no pun intended) from the bipartisan support for overhauling the federal criminal justice system that had been intensifying in Congress over the last few years. It also reflects President Trump’s campaign promise to get tough on crime. The general targets of the new policy include narcotics and weapons offenses, and gang violence. 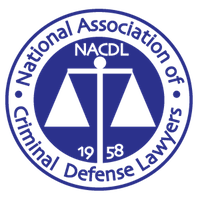 Many defendants focus exclusively on only one issue in their case – Am I going to jail? If there is even a possibility that this question may be answered affirmatively, follow-up issues concerns the length of the sentence and the facility where it may be served (e.g., state prison vs. county jail). What often gets lost in the discussions concerning this aspect of a criminal case are the collateral consequences of sentencing. Collateral consequences are other things that happen to someone with a felony conviction that have little to do with jail or prison time. These consequences follow a defendant upon release from custody, and can affect virtually every aspect of their life. A Federal Judge in the Eastern District of New York just wrote a 42-page opinion concerning collateral consequences that should be required reading for every trial judge (Federal and State) in the United States. We have written before about federal sentencing issues. A recent US Supreme Court decision again focuses our attention on this important topic and, specifically, the central role that the advisory guidelines play in the federal sentencing process, and how sentencing mistakes can – and should – be corrected. By way of background, sentencing in federal cases is governed largely by the the advisory sentencing guidelines promulgated by the United States Sentencing Commission. The concept underlying the advisory guidelines is relatively simple. They are designed to promote uniformity in sentencing. Thus, if two defendants with roughly similar backgrounds are convicted of the same offense and appear for sentencing before two different judges in two different jurisdictions, the advisory guidelines help ensure that the defendants will receive roughly the same sentence. In this respect, the guidelines restrict the discretion of the sentencing judge.